Irritable Bowel Syndrome is NOT a lifelong condition! I empower heart-centered people to eliminate IBS, reclaim their health, and reignite their true powerhouse spirit! Let me support you on your journey from IBS struggle to IBS-free! 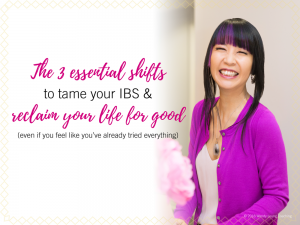 The 3 Essential Shifts to Tame Your IBS & Reclaim Your Life for Good (even if you feel like you’ve already tried everything)! 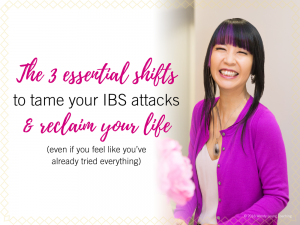 The 3 Essential Shifts to Tame Your IBS Attacks & Reclaim Your Life (even if you feel like you’ve already tried everything)!